In 2015, the United Nations General Assembly adopted the 2030 Agenda for Sustainable Development, which called for significant action to combat viral hepatitis − raising its profile as a public health issue. In 2016, the World Health Assembly adopted the first global health sector strategy on viral hepatitis, setting targets for the elimination of viral hepatitis as a public health threat by 2030. The strategy was endorsed by 194 countries, including Kuwait. 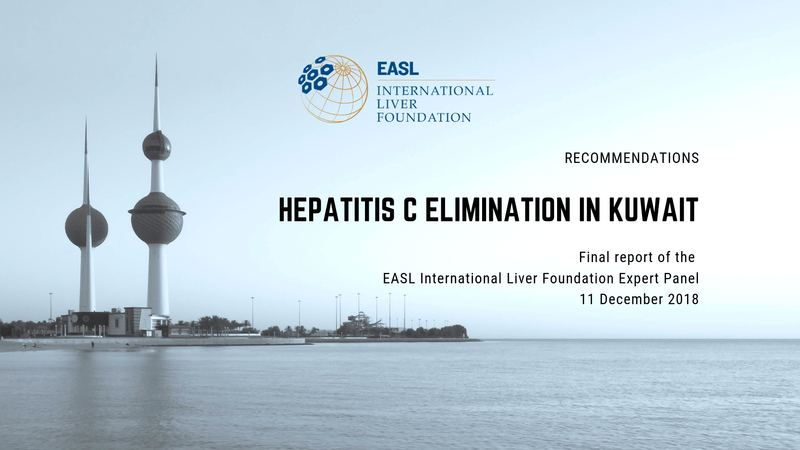 The EASL International Liver Foundation works with countries to support their progress towards viral hepatitis elimination. As such, the foundation convened key Kuwaiti experts and stakeholders in a half-day expert panel meeting with the main aim of identifying the successes, gaps, and barriers to HCV elimination in Kuwait and to determine unified recommendations to facilitate and expedite elimination in the country. In support of the WHO global health sector strategy on viral hepatitis for 2016-2021 and the Eastern Mediterranean regional action plan for the implementation of global health sector strategy on viral hepatitis 2017-2021 and consistent with the United Nations’ Sustainable Development Goals and the WHO universal health coverage framework, this report presents expert recommendations to empower Kuwait to fast-track HCV elimination. 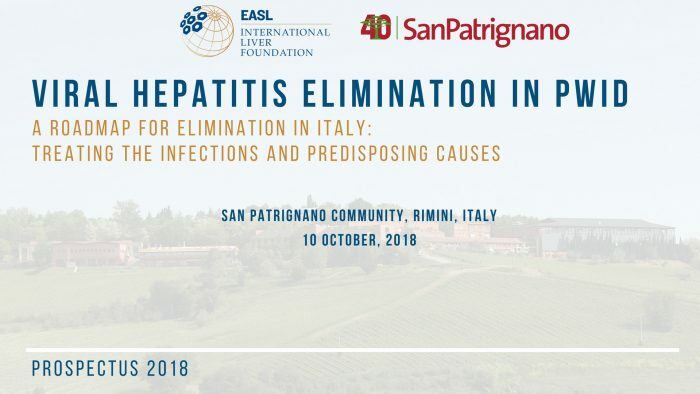 EASL International Liver Foundation joined forces with San Patrignano, Europe’s largest drug rehabilitation community, to hold a one-day Viral Hepatitis Elimination in PWID: A Roadmap to Elimination in Italy workshop on 10 October 2018 in Rimini, Italy. 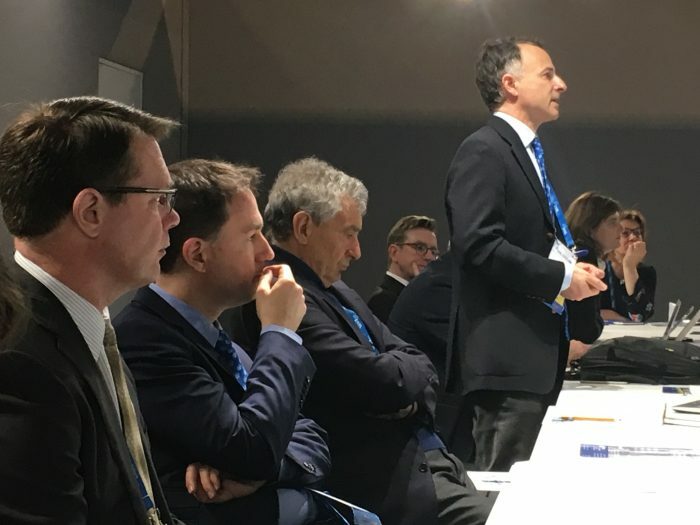 Italy is making significant strides with its viral hepatitis strategy and is one of the 12 countries on track to eliminate viral hepatitis as a public health threat by 2030. This workshop sought to accelerate progress towards national elimination by providing the platform to identify and champion the conditions necessary to fast-track viral hepatitis elimination among people at highest risk of acquiring and transmitting the virus; people who inject drugs (PWID). The workshop brought together leading experts in viral hepatitis, the drug treatment community and key stakeholders such as government officials, industry representatives, civil society organisations and scientific societies. 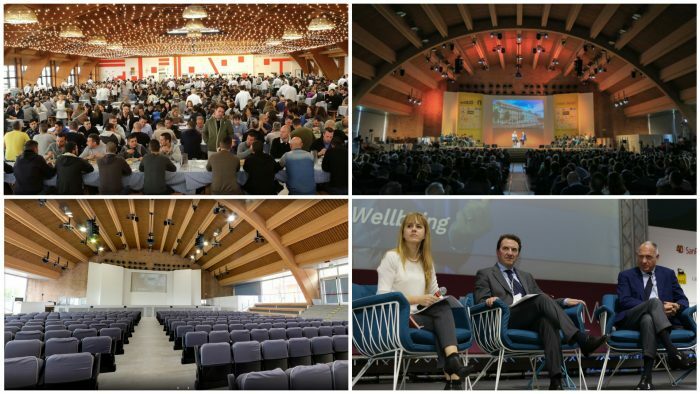 The programme, presented by international and local experts, provided the latest updates on viral hepatitis treatment in PWID while providing participants with the unique opportunity to network and exchange experiences and ideas for viral hepatitis elimination among PWID in Italy. 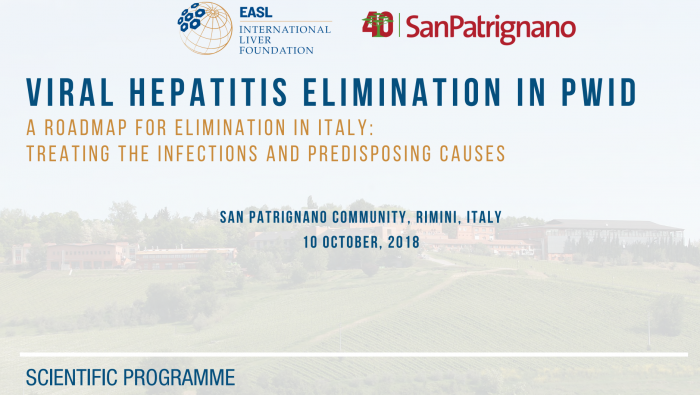 Bringing the stakeholders together, this workshop aimed to not only kick-start the call to action for viral hepatitis elimination among PWID in Italy but to also set the foundations for the generation of a roadmap for elimination. The workshop took place in the San Patrignano rehabilitation community, Rimini, Italy and was accredited by the Italian Ministry of Health Italian Ministry of Health for 6 CME Credits (ID. N. 150-234009). EILF will be heading back to Dubai in November 2018 to attend the Emirates Gastroenterology and Hepatology 2018 Conference in Dubai, where Prof. Massimo Colombo, Prof. Kosh Agarwal, Prof. Maria Buti and Prof. Guilio Marchesini will hold an EILF Guidance on Liver Disease session. EILF have recently embarked on a collaboration with the Emirates Gastroenterology and Hepatology Society and together, we will hold the first School of Excellence on 28 September 2018 in Dubai. This full day interactive school will be led by EILF and local experts providing a mix of state of the art lectures, debates and clinical case presentations. In February this year, EILF kicked off Phase 1 of the EILF NAFLD Policy Review. This first of its kind research project aims to establish to what extent governments and key stakeholders like medical associations and patient groups are responding to the major public health threat that is non-alcoholic fatty liver disease (NAFLD)/ non-alcoholic steatohepatitis (NASH), raise awareness of the conditions and inform on the need for further initiatives and areas for collaboration. 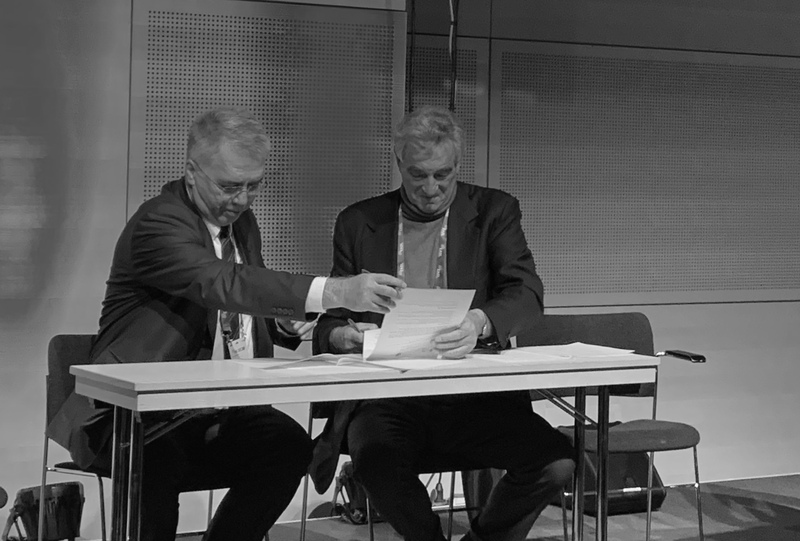 Phase 1 saw the review completed in 8 countries and the preliminary results showcased in a briefing chaired by Prof. Jeffrey Lazarus, and Prof. Quentin Anstee at the EASL International Liver Congress in April. Whilst the results are being written up for publication, Phase 2 will launch, seeing the review expanded to the remaining EU-28 countries.